Hotel "Zaliv" is located in a picturesque corner of the Black Sea coast, Peaceful 20 meters from the Bay of Donuzlav. The hotel is located in the closed protected area of ​​the cooperative "Parus". 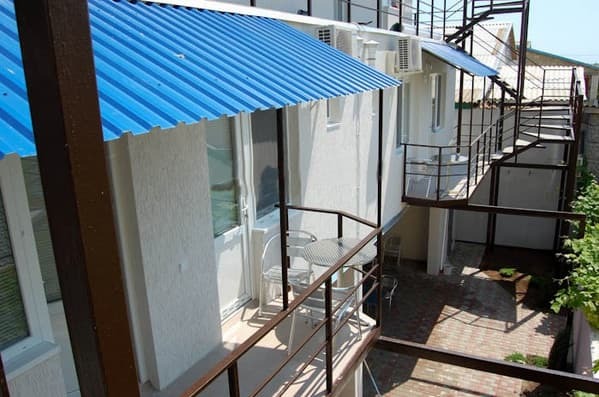 The mini-hotel consists of 4 one-room and 4 two-room rooms, which are equipped with an equipped kitchen. 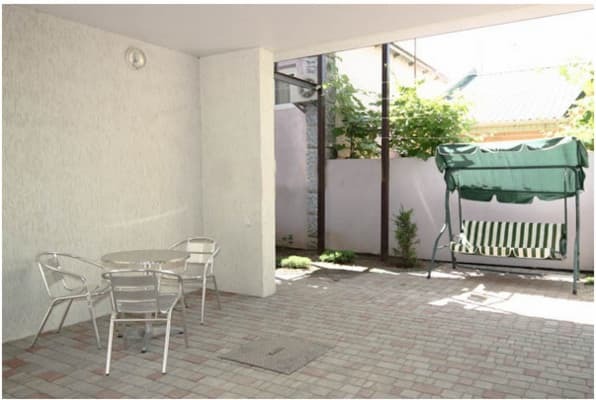 On the territory of the hotel "Zaliv" there is a courtyard with a dining room, a shish kebab, a table tennis court and a room equipped with laundry. 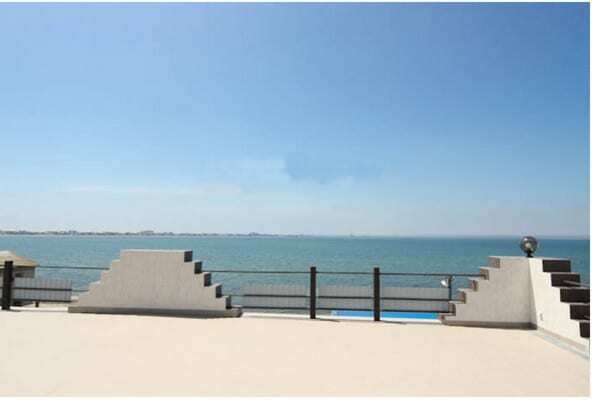 The highlight of the hotel is a roof converted to an observation deck, which overlooks the bay. 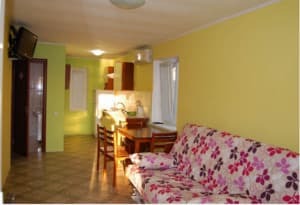 Distance to the Donuzlav Bay (sandy beach, equipped) - 20 m, to the sea - 900 m, grocery store: 100 m. PRICES MAY CHANGE, YOU NEED TO RECEIVE INFORMATION FROM THE OPERATOR! Description of the room: Room designed for 2-3 people has everything you need to relax guests: a set of standard furniture, a double bed. The refrigerator is common. 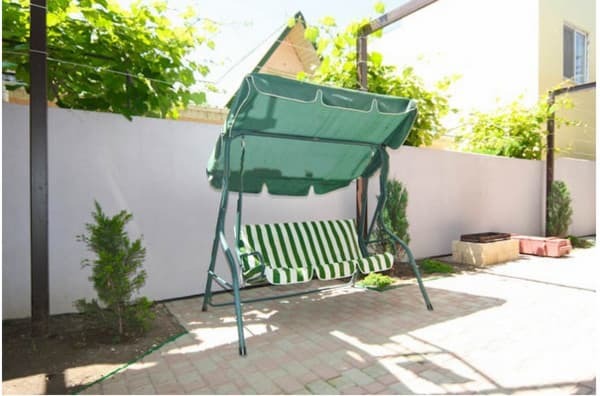 Hotel "Zaliv" is located in a picturesque corner of the Black Sea coast, not far from the village of Mirny, 20 meters from the gulf of Donuzlav (sandy beach, equipped) - 20 m; to the sea - 900 m, grocery store: 100 m.
By train to Simferopol or to Evpatoria, by shuttle bus to Mirny village, taxi to "Parus" cooperative 5 min.